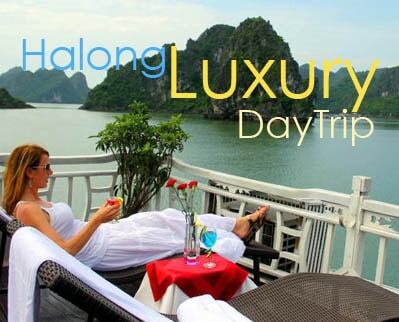 When thinking about flowers in Vietnam, we definitely regard of a beautiful and romantic place where our Mother Nature has lovely given such a gentle and cool weather all year round – Dalat city. For years, Dalat has been well known as the paradise of flowers as it is home to variously thousands of species of flower making this place an enormous and ecological biodiversity compared to any busy and crowded cities along Vietnam. 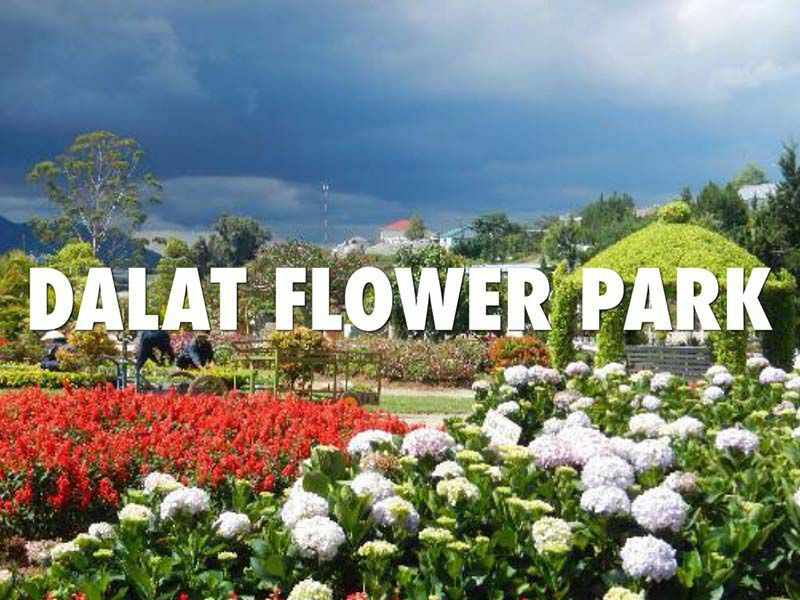 If you are wondering to have a trip to Dalat in order to enjoy those beautiful flowers, you should not forget and neglect Dalat Flower Garden. 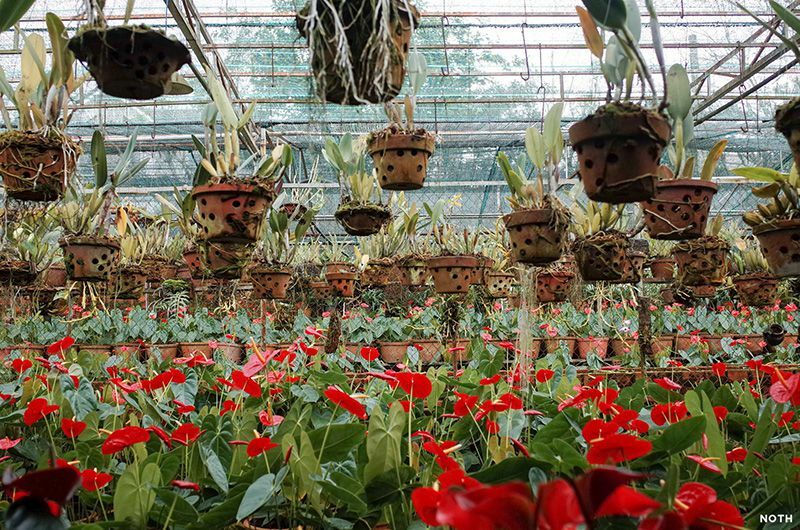 With an area of 7,000 m2 located on the north shore around Xuan Huong Lake, on the valley of Cu Hill, just about 2km from the city center, Dalat Flower Garden used to be Bich Cau Flower Garden where tourists can comfortably contemplate the biggest selection of flowers in Dalat. The park is situated at the end of Xuan Huong Lake, Ba Huyen Thanh Quan Streer, Ward 1, Dalat city, Lam Dong province. It is considered a natural museum that houses a fine collection of native and exotic flowers as it consists of at least 300 different kinds of flowers, hundreds of which are in blossom all year round. Interestingly, there is a small cafe on site. It is also an appealing attraction on the occasion of annual Flower Festival, with hundreds kinds of spectacular flower species. Opening from 7:30 AM to 4 PM every day, tourists will be impressed by the first time standing in front of this park thanks to the park entrance with arc-shaped flower arrangement created by hundreds of spectacular flowerpots, which warmly welcomes anyone to come in and visit. Once getting lost into the flower paradise, travelers will be surrounded at every corner by the variety of flowers: front, back and both sides of the garden. Along the aisles is the spraying water system. Some flowery stagecoaches sometimes have randomly assigned creating a colorful space. number of tourists is the orchid area which are grown in implant method, exhibited here with the essence of beauty, species diversity, and diverse colors. What’s more, tourists will be easy to find numerous kinds of Hanoi peach which are bred in Dao Hoa Valley. 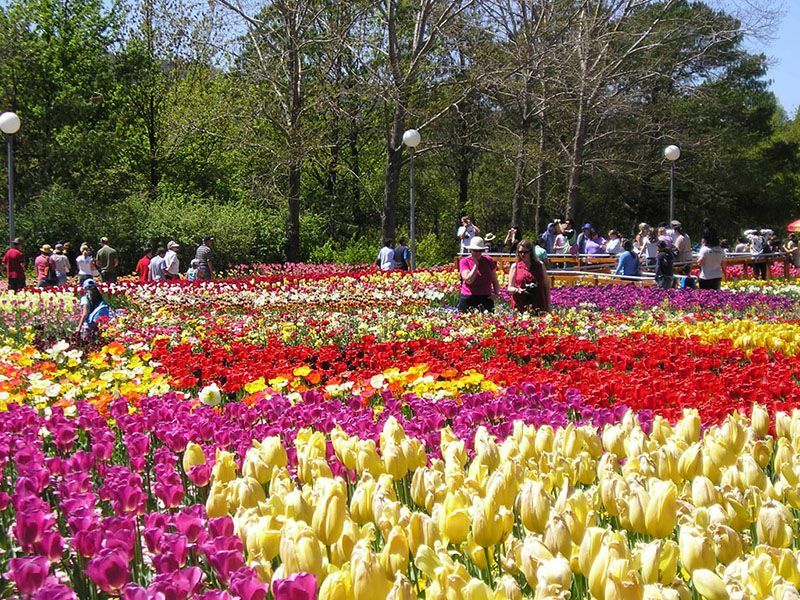 Dalat Flower Park is now on display of the largest and most complete &quot;collections&quot; of flowers in Da Lat with hundreds of different varieties. gorgeous city of flowers creating a wonderful scenery and beauty so distinctively compared to anywhere else. Going to Dalat Flower Park, tourists will be certainly very pleased by the artisans who have taken care and collected real flowers artistically. Along with contemplating precious and rare flowers, tourists will have a chance to enjoy their leisure time in sports: shuttlecock kicking, swimming… Visiting Dalat Flower Park on Tet holidays or flower festivals, tourists will also experience and admire the collection of flowers, bonsai, orchids with diverse types and colors of bonsai artists in Dalat city. It would be a huge deficiency for tourists to skip its collection of flower gardens once coming to “the city of thousands flowers” – Dalat – in Central Highlands. 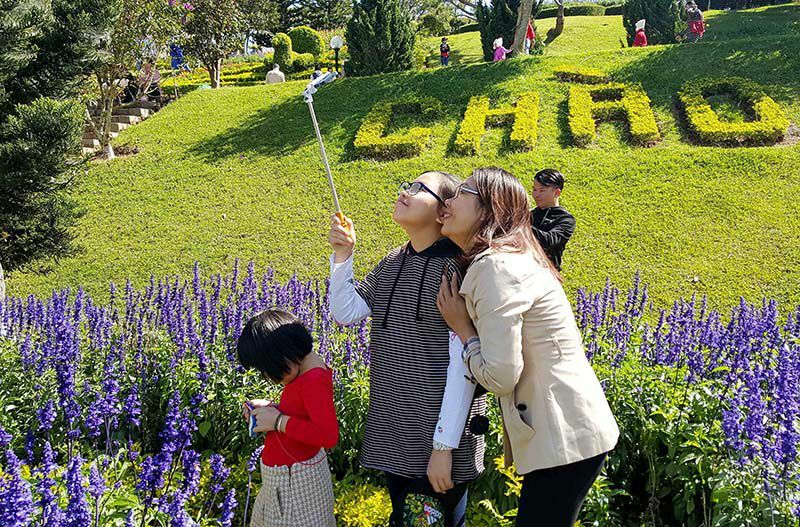 Dalat Flower Park, therefore, has played an important role in promoting tourism in Dalat, attracting the great number of domestic and international tourists.